Is PlayStation VR more Lawnmower Man or Matrix? Matt spent a couple of hours in a headset to find out. VR has grabbed a ton of headlines over the last couple of years, but it’s increasingly clear that widespread uptake of the technology is years away – assuming such a thing occurs at all. A present-day VR experience is a fleetingly exhilarating one, but VR as a platform still feels like nascent tech, and getting a rig set up in your home remains an expensive proposition. This price problem is compounded by the fact that there’s a marked lack of killer apps currently available – games that articulate the benefits of VR to non-enthusiasts, and have them reaching for their wallets. The reasons for this are manifold. While VR has existed in one form or another for decades, it was largely ignored by game makers until Oculus burst onto the scene via Kickstarter in 2012, and so many studios are still figuring out what kind of games work best in a closed headset environment. It’s entirely likely a lot of the best uses of VR are yet to be discovered. In addition, because VR is largely unproven, many bigger companies – whose support could really shift public perceptions of the tech – are adopting a wait-and-see attitude. It’s simply not clear whether the VR market will bloom, or which of the sector’s competing technologies will come out on top. "We’re not incentivised to be at the frontline of [VR] development," said Take-Two CEO Strauss Zelnick earlier this month. "We are actually incentivised to wait and see a bit if there’s an installed base, let the format settle down, and let other people test the market. We’re quite happy to be a free rider – if there’s a market, we’ll get to the market in six to twelve months and we’ll be just fine." Given all of the above, it’s downright courageous that Sony has thrown its hat into the virtual ring so early. It wouldn’t do so without an expectation of profit, but even so, the company is treading risky, unfamiliar ground. Although it occupies a space at the cheaper end of the VR headset market, the cost of PlayStation VR is nothing to sniff at. The base system is NZ$630, plus another NZ$100 or so for a PS Camera if you don’t already have one. 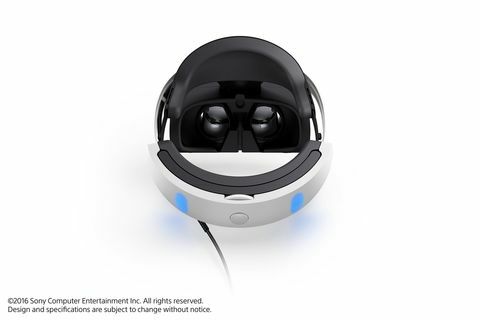 On top of that, some games require a PS Move controller (another NZ$75 or so, assuming you can actually find one for sale in NZ), and it looks like Sony’s new PlayStation VR Aim Controller (price TBA) is mandatory for shooter Farpoint. Then there are the games. We only know the prices of PS VR’s launch titles, but if they are anything to go by, it looks like bigger full games will set you back NZ$110 or so, while demo-like VR “experiences” and smaller titles will sit between NZ$35–NZ$70. At least there will be a lot of titles available: Sony Group CEO Andrew House said to expect more than 50 games to release on PS VR this year. At E3, I went hands-on with seven in-development PlayStation VR titles. 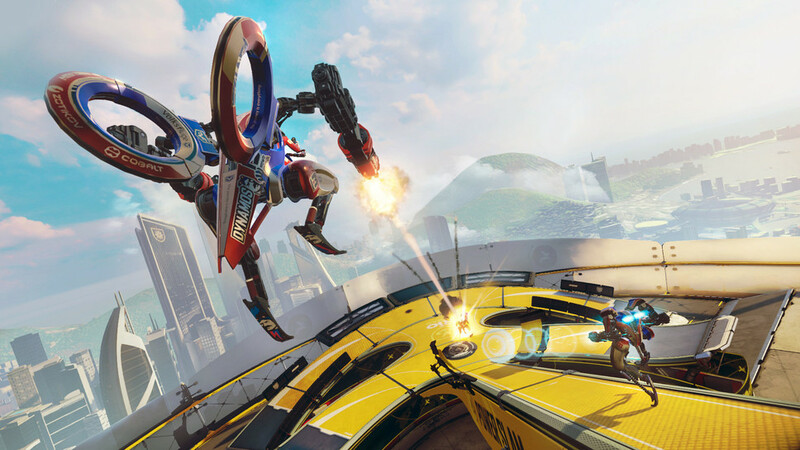 The most high-profile was PS VR exclusive Rigs, a team-based FPS in the guise of a mech sports game from Killzone: Mercenary studio Guerrilla Cambridge. While rising up to the arena at the start of the game capably sells the size of the mech you’re piloting, this sense of scale and awe disappears once gameplay begins – you might as well be in a human-sized exo-skeleton rather than a towering robot. My time with Rigs also suffered because I was playing a multiplayer game against bots, which is never the height of excitement. Even so, it seems a decently enjoyable title, and being a vehicle game, it makes perfect sense for VR. However, as a marquee PS VR title that will set you back NZ$110, it really needs to do better than “yeah, that was alright” – especially as Sony will need a sizeable community of players to keep the game rolling. Another vehicle title was Battlezone, an updating of the classic ‘80s Atari vector graphics space-tank title by Sniper Elite studio Rebellion Developments. The abstract look and clean visuals of this one helped it out immensely, and its frictionless movement and lack of hitscan weapons made play enjoyable. There didn’t seem to be too much to it, but it was smooth and attractive, and a good fit for VR from a gameplay and aesthetic perspective. Small indie title 100 Foot Golf has a cool premise – play golf as a giant robot! – but in reality it feels like playing mini-golf on a model town-themed hole. Even so, it’s silly and fun, allowing you to focus on your swing, or on attacking your opponent and smashing any buildings that stand between your ball and the hole. You will be able to play this one without VR, but it’s likely more fun in a headset. Volume Coda is a standalone expansion for Mike Bithell’s 2015 solid stealth ‘em up, whose top-down perspective may not seem like the best fit for VR. However, it uses the headset’s capabilities well, allowing you to scale, tilt, and move the game’s board so you can get the exact view of the action you want. It’s also handy in a stealth game to be able to quickly glance ahead rather than scroll using the controller. How We Soar is a PS VR exclusive that’s something akin to Flower for VR – it’s all about relaxation. From the back of a giant Phoenix you explore, rebuild and colourise a papercraft world, literally unfurling the game’s story as you gently glide around. It’s not really my bag, but it’s a pretty chill title, and did I mention you ride a papercraft phoenix? Thanks to long queues, I didn’t get hands-on with what are perhaps the biggest PS VR titles, Batman: Arkham VR and Resident Evil VII. The former was apparently great but still very much an “experience” rather than a full game, while the latter was supposedly creepy but apparently made most people feel ill thanks to low frame rates – something Capcom says it is working on. I found the PS VR headset comfortable even over glasses, and the only time I felt nauseated was when I entered a steep, spiralling dive in How We Soar. Given the state of VR in general, it’s not surprising that at this stage PlayStation VR feels very much like a sideline distraction rather than a main event. Even though it’s undeniably cool fiddling around in VR after waiting so many years for a decent experience to arrive, nothing I played at E3 made me think “my god I must have this now!”, and the system’s launch line-up is lacking heavy-hitters. Call of Duty: Infinite Warfare, Star Wars Battlefront, and Final Fantasy XV “experiences” are coming of course, but these are demos rather than full-blooded games – proof of concept rather than games that will shift units. Also, have you used a Move controller recently? Those things actually aren’t the greatest when it comes to tracking. There are reasons to be optimistic. Multiplayer puzzle game PlayStation VR Social looks like a weird and fun experiment, Star Trek: Bridge Crew is a guaranteed winner, and asymmetric local multiplayer games like Keep Talking and Nobody Explodes are well-suited to VR. I’m also keen to see Ace Combat 7, Driveclub, GT Sport, and Farpoint on the system, although it seems like a PlayStation Neo will be needed to run those titles with anything resembling satisfactory visuals. I also look forward to wading into the ocean of first-person survival horror titles that will drench the system in the coming years, and there will no doubt be a number of smaller games that expertly utilise VR in surprising and delightful ways. But I still can't shake the feeling that success for this platform might not happen the way Sony needs it to. There may be 40 million VR-ready PS4s out in the wild, and Oculus Rift creator Palmer Luckey may be psyched about PlayStation VR, but Sony has a lot of work to do to justify the PS VR's asking price. It’s going to have to spend money to cover the risk of VR development for more studios, and it’s going to have to commit to the long haul. 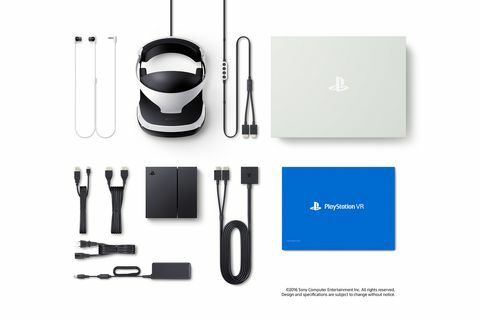 A PS4 Neo / PS VR bundle would certainly help there, as would some bigger studios pitching in, and VR games need to feature on PlayStation Plus too. Don't get me wrong – I would love to see PS VR find a big enough foothold that developing for it is a viable option for studios that wish to, and I have a feeling that sooner or later, games will arrive that sell me on Sony’s headset. However, until these things happen, right now all PlayStation VR has is potential. ▰ 38 Should you buy a PS VR?